Let down by a listless post-WrestleMania return, Finn fans look set to suffer yet again if rumours of Vince McMahon's sudden disinterest in the character are to be believed. 'The Demon King's name was allegedly scribbled next to Universal Champion Brock Lesnar's at the planning stage for the 2018 Royal Rumble. It'd see him finally making good on a promise to regain the Raw brand's top strap after being forced to surrender it due to injury in 2016. As maiden titleholder, Bálor spent a mere 24 hours with the prize, having injured his shoulder in his SummerSlam strap scrap with Seth Rollins. Unfortunately, McMahon has deemed Finn no longer 'over' enough. He's not wrong, either. But isn't that because they didn't get to the match a lot, lot sooner? Bálor's character looked wetter that a row of Triple H ringsiders when he didn't immediately make a play for the prize. Fans literally shouted for it - his name was chanted as Paul Heyman made his first address as advocate of the new champion. 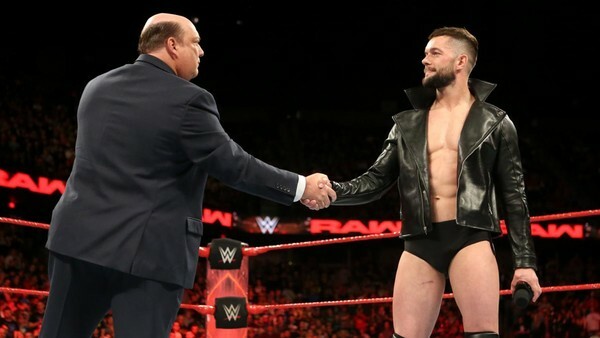 But the feud and match never materialised, and outside of a masterful job Heyman did of putting Finn over shortly before one the of Irish star's only attempts to become Number One Contender, he's literally never been in the conversation.